You’ve done the planning, you’ve decided on your bathroom fixtures, the sink, the toilet, and the shower. Now it’s time to accessorize! If you search bathroom accessories on Google you will see a wide range of shopping options from thousands of online stores. Stop a headache, save time, energy, and maybe even some money by following these five tips for finding the right accessories for your new bathroom. When the time comes to furnish your bathroom you will be faced with more accessory options than you’ll know what to do with. It is important to know what you are looking for before you begin the search. With a wide variety of different accessories to fill your space, it is best to be prepared with a list of items you are going to want and need. Think of the three major areas of the bathroom; the shower/bath, the sink area, and the toilet and create a list of accessories needed for each area. For example, take a look at the sink. In this section of the room, you may need several accessories such as a soap dish for bar soap or a pump for liquid soap, a place to store your toothbrush, hand towels and a towel rack, a tissue dispenser, a makeup mirror, and a floor mat. Make an extensive list like this for every part of your bathroom so you know exactly what you need to find for each space. Before diving into the task of shopping, it is best to decide what the style of the room should be. Whatever style you want there are accessories to match. Some examples of style options would include modern, rustic, beach-themed, minimalistic, among many other styles. When discussing your bathroom’s style you should also reference the look and feel of the rest of your house. 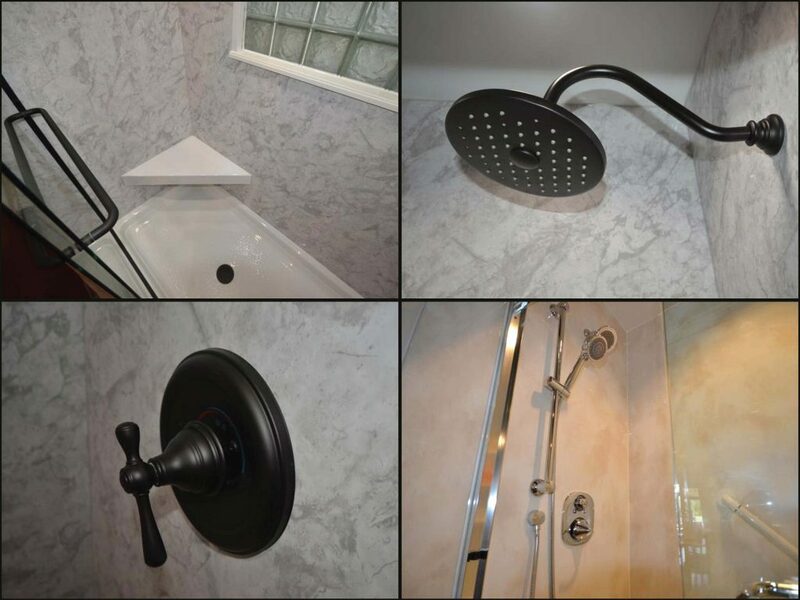 Do you want the bathroom to match the rest of your house or are you okay with it being different? The last thing you want is to take the time to search for and buy your accessories only to find that what you have picked is not cohesive. There are two things you need to ask yourself when thinking about function, what functions does my bathroom have and what functions does my bathroom need? There are a number of different accessories which can add functionality to your bathroom, for example, you may need a trash can or a toilet paper holder. As mentioned before, one decision you may need to make is what type of soap you and your family use. If you use bar soap, do you need to buy a soap tray? Or if you use liquid soap, do you need a dispenser? Or maybe your new bathroom already has a tray or dispenser built in and you do not need to buy either. Knowing what function your bathroom needs to serve will help you find the right accessories. It’s best to know your budget before you go off to buy your accessories. Bathroom accessories can vary greatly in price, so it is important to know how much you can spend total. This will give you a better idea of what to pay for each item. Having a budget will keep your design goals realistic and help you to stay on track during the shopping process. Who doesn’t love checking off a list? After you have taken the time to know what you’re looking for, know your style, know their function, and know your budget it’s time to put together a shopping list of exactly what you need. While shopping you can easily check off an item you buy, make sure you don’t forget anything, and stay away from items you don’t need. Once you have your shopping list, it’s time to head to the store to accessorize the bathroom of your dreams! Be sure you make the most out of your new bathroom and add all the right accessories to get the most out of your space. Taking a little time to research your bathroom accessories needs will help make your shopping trip go much smoother. As always, do not forget to contact your bathroom experts here at Columbus Bath Design by Luxury Bath for all of your designing needs. We are here to make the process as smooth as possible.